ever since i knew i was pregnant, i’ve had so much fun exploring the world of baby products and fashion. i’ve discovered so many brands that were unknown to me before, and i figured it was about time i’d share some of my findings with you on here. i wanted to start with the ultimate basic for babies – rompers. it is true what they say – you can never have enough of them, and yet they grow out of them as fast as lightning. my favorite discovery so far has been CLIMAKID. 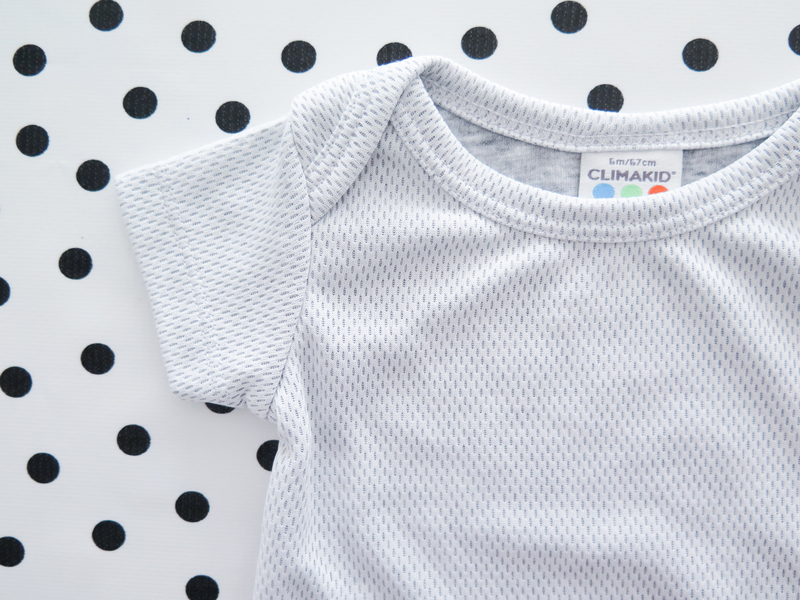 the french brand specializes in thermal rompers that help your baby regulate its temperature. especially when your little one is born in mid winter or high summer, it can be hard for baby to keep cool or warm. juliet was born right at the beginning of spring, but it very much still felt like winter in switzerland. i was happy to dress her in the climakid protec (the darkest and smallest romper in the first picture) to keep her nice and toasty. she then graduated to climakid regul (the middle romper) to help her go from our warm apartment to the chilly outdoors without experiencing too much of a difference between both. and i’m looking forward to her testing the climakid air (the short-sleeved romper) in summertime, to prevent her from drowning in sweat. i couldn’t be a bigger fan of these rompers and i sincerely recommend them. they all come in beautiful shades of grey, so you really can’t go wrong with them style-wise! i was so happy to discover two beautiful webshops in switzerland, run by two wonderful ladies who made sure i didn’t feel too cut off from the world of baby prettiness here in my little corner of the world. i was sent that gorgeous milk romper by the lovely laura from PHUNKY.CH. it’s made by organic zoo and the quality is just superb. i’m a sucker for the typography as well. the other swiss webshop is the exceptionally fun STADTLANDKIND.CH. shop owner roberta surprised me and juliet with the lovely black kawaii cloud romper made by whistle & flute. so stinking cute, am i right? 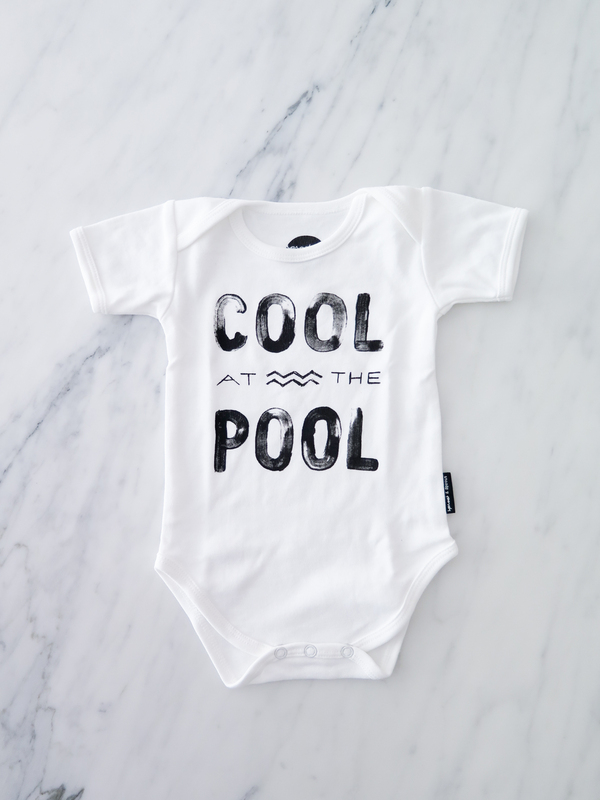 speaking of cute, how adorable is that ‘cool at the pool’ print? it’s from dutch brand SPROET & SPROUT, who have made it their mission to come up with the funniest prints ever. my best friend also gave me their bib, which sports the text ‘mom! stop blogging me!’ appropriate much? finally, the romper with that ‘hello’ print was a gift from my sister, and it’s made by HELLO APPAREL. as for good basics, i was surprised to find that H&M has a fairly extensive organic collection with lovely prints. those tiny little dots and grey and white stripes are perfect, don’t you agree? and of course no baby wardrobe should ever be without the beautiful little rompers from PETIT BATEAU. the white summer editions you see above were a gift from SOKI STUDIO who designed juliet’s birth announcement, and they are just as beautifully chic and simple as soki’s designs.